Could parenting be slightly easier for one half of the parental team? Sociologists from Cornell University believe the answer may be yes. A new study, published in the American Sociological Review, finds that parenting is more stressful for moms. Dads, on the other hand, tend to feel less stressed as a result of spending more time playing and doing low-stress leisure activities with their kids. Working moms are often multitaskers extraordinaire. The researchers noted that the time women spend taking care of the kids and doing chores related to childcare adds up to ten more hours than fathers each week. What’s more, women typically do more solo parenting, have less leisure time, and experience more sleep disruption than their male counterparts. 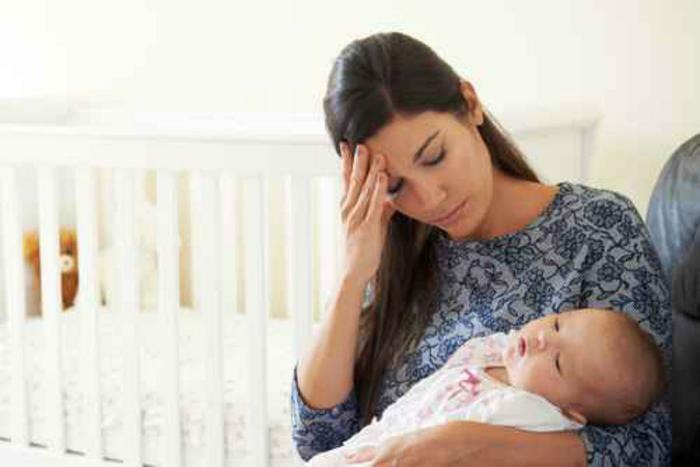 For these reasons, mothers may feel a bit more frazzled than fathers. Kelly Musick, the study’s co-author and associate professor of policy analysis and management points out that children aren’t the problem. Rather, it’s multitasking that contributes to the increased stress of a working mother. “It’s not that moms are so stressed out with their kids, but relative to fathers, they’re experiencing more strain,” Musick said in a statement. Juggling a greater number of childcare-related tasks while also working during the day can take an emotional toll, explained lead author Shira Offer. Multitasking may be an emotionally different experience for moms since women's activities are often subject to outside scrutiny. Dads generally do not experience as much judgment from others while they’re spending time with the kids, the authors explained. “At home and in public are the environments in which most household- and childcare-related tasks take place, and mothers’ activities in these settings are highly visible to other people,” said the study’s coauthor, Barbara Schneider. Dads can take some of the emotional burden off of mom by helping out more, the study suggests. When fathers take a few items off of mom’s plate, the whole family may benefit from a less stressed mom and a more involved dad.